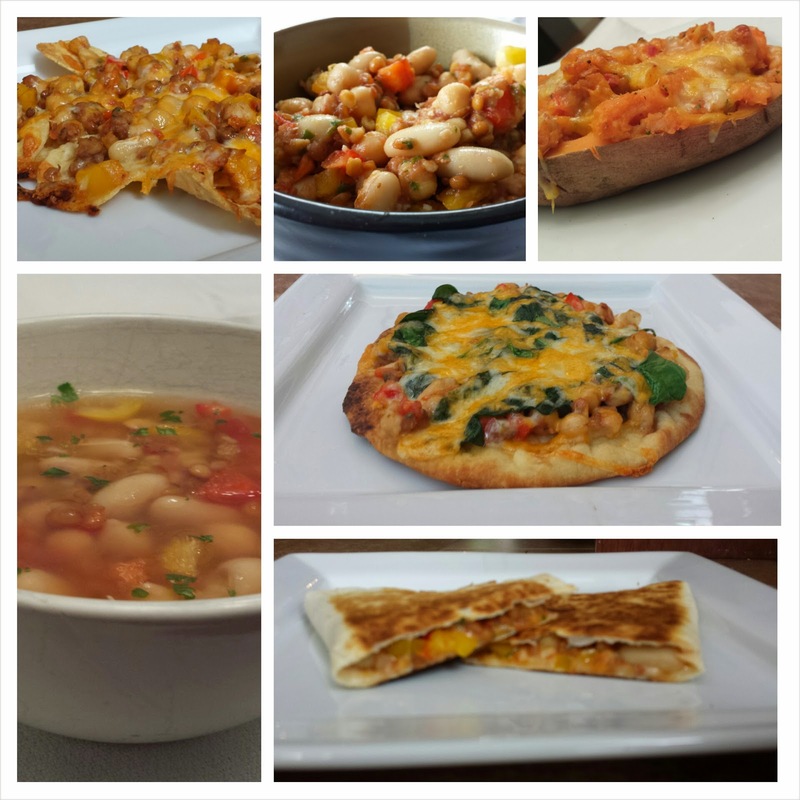 Hungry Janey: Bean Salad for Days! I have been eating bean salad every day for 2 weeks straight. I'm not kidding. Every day. I make a big batch to have in the fridge, and then it is SO easy to throw together a quick and healthy lunch or snack each day. 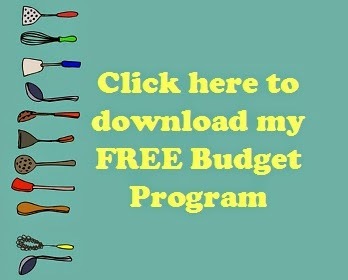 This bean salad is an example of something very easy to play with and serve in many different ways, and it is SO inexpensive! Having delicious and healthy options ready in the fridge makes it a lot easier to eat a proper meal when the days are busy. Drain and rinse all canned beans. Stir all ingredients to combine in a large food storage container. Store in the fridge. 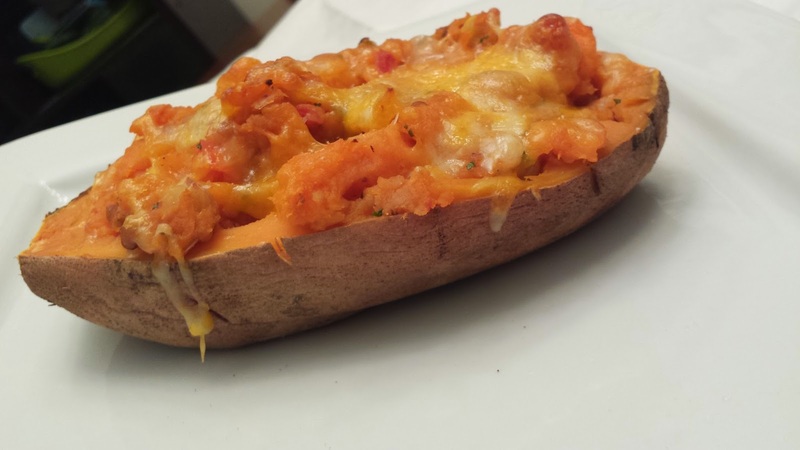 Piece sweet potato all over with a knife. Microwave on high for 6 minutes, turn over, and mircrowave 6 minutes more. Once cool enough to touch, cut in half and scoop out the flesh. Mash flesh and mix with some bean salad. Refill the potato skins. Top with shredded cheese, if desired. Bake at 375` for 15 minutes or until hot. 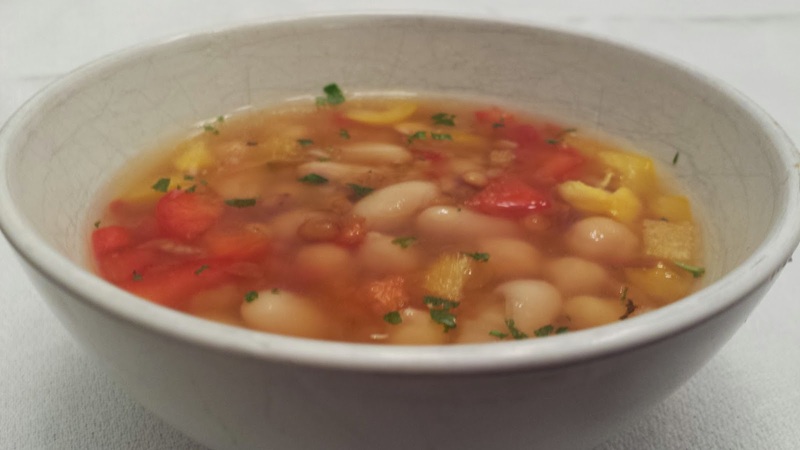 Combine 3/4 C stock or broth with some bean salad to make a super quick and hearty soup. Season as desired. Spoon some bean salad on one half of a tortilla. Top with shredded cheese. 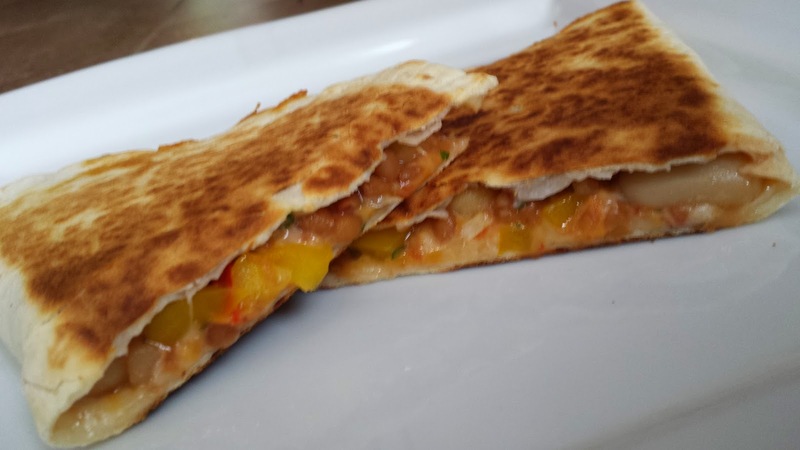 Fold over tortilla and place in a hot frying pan for several minutes until browned, turning to brown both sides. 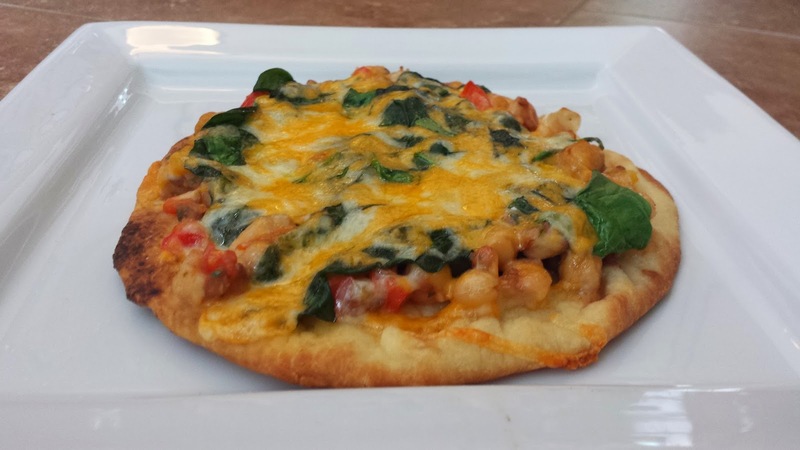 Using naan or pita bread as your crust, top with bean salad, baby spinach, and cheese. Bake at 375 for 10 minutes or until cheese is melted. Turn on the broiler for 1 minute to cause the cheese to bubble. Place tortilla chips on a single layer on a baking sheet. 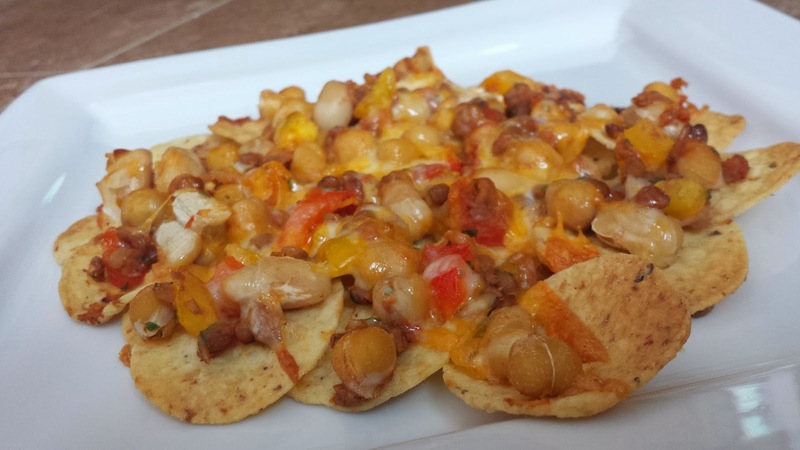 Top with bean salad and shredded cheese. Bake at 3751 for 10 minutes. Turn on broiler for 1 minute to bubble cheese and brown a few chips. What are your favourite tricks to renew your leftovers? What do you keep prepared or on-hand to help meals come together in a hurry? 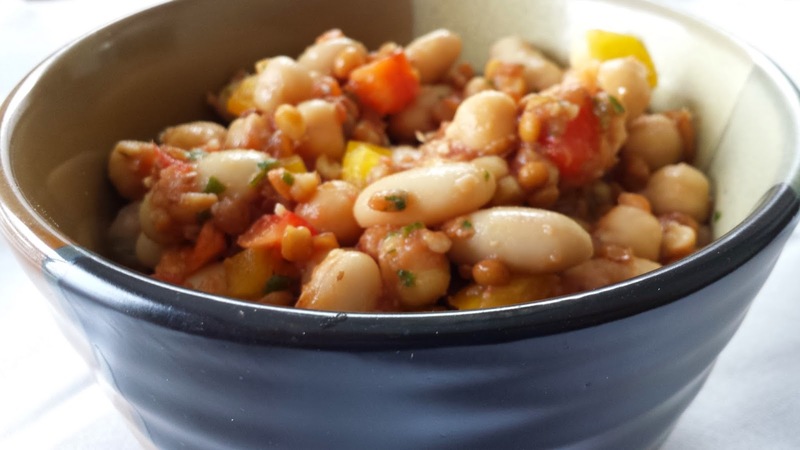 I'd love to hear your favourite strategies, or your feedback if you try this bean salad!